Classic Brass, Gold & Ivory Ceiling Chandelier with Shades. 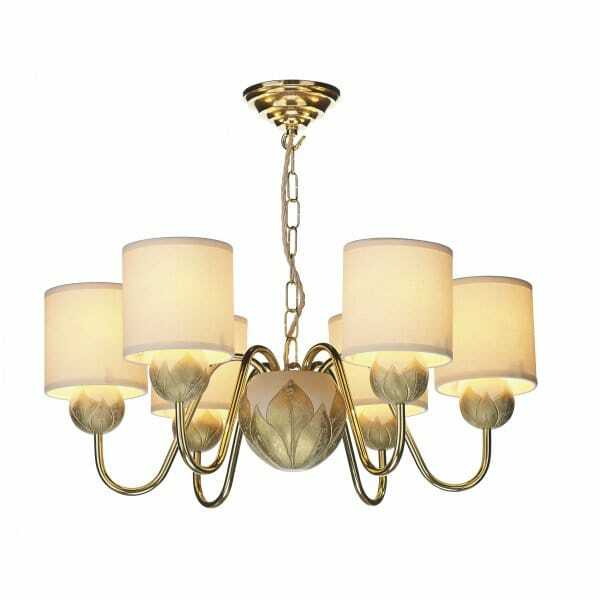 This classic style traditional chandelier comes in an ivory and gold finish with solid brass arms which each hold a lamp with a cream fabric shade. This light would fit in well with any traditional style setting and would be well suited to over table lighting. It is height adjustable at the point of installation to allow for a drop of up to 78cms. This light is British made, designed and manufactured in the UK.